There's no rule that limits the number of materials that can be used in a kitchen – or where appliances are best positioned. And it's just as well, for this kitchen breaks convention, in the best possible way. 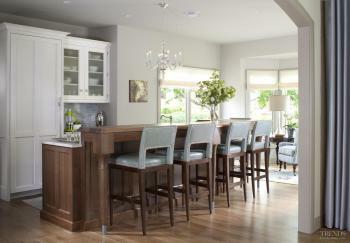 Designed by Mikal Otten of Exquisite Kitchen Design, the kitchen is in a 1980s house that has been extensively altered. "The existing kitchen was right in the center of the family living area and the wife said she felt as though she was on stage when she was working in the kitchen," Otten says. "The kitchen was overwhelming the space, and it was often filled up with the children coming in and out. The owners wanted the new kitchen to have a dedicated work area that would essentially be out of bounds to the rest of the family." Creating separate zones was the best way to make this work, says the designer. 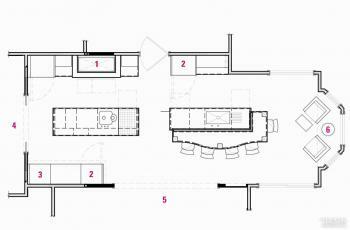 There are two large islands, one given over to food preparation and cleanup, and the other for serving drinks and casual dining. The worktop is right beside the range and prep sink. "The refrigerator closest to the work area stores all the raw ingredients needed to make a meal," says Otten. "Another refrigerator at the other end of the kitchen holds drinks and a third refrigerator is for leftovers and breakfast items. 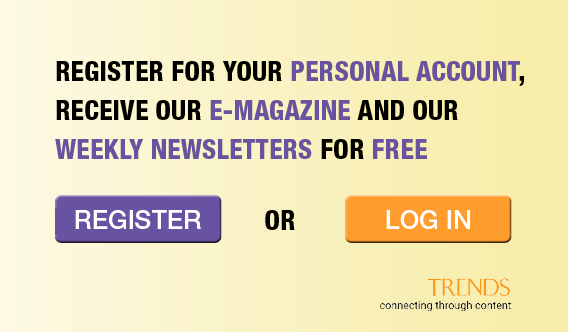 Family members can access items without interrupting the work areas." 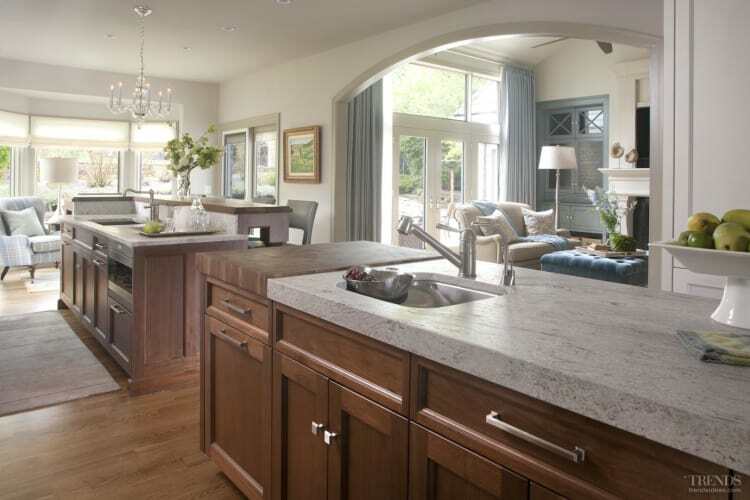 Working with Otten and interior designer Beth Armijo, the owners chose a Tidal White granite for the main island countertops. 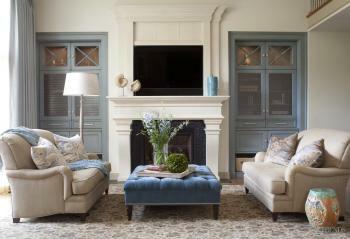 Its subtle tones tie in with the off-white and smoky blue colors used in the adjoining seating area and family room. Two different thicknesses of countertop were specified. 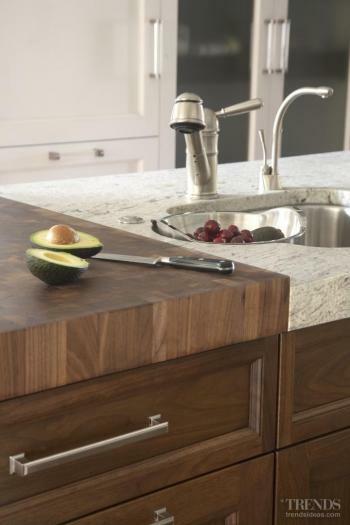 The thicker top complements the solid butcher's block at one end of the work island, while the thin top has a more refined, formal look that is better suited to the bar area. 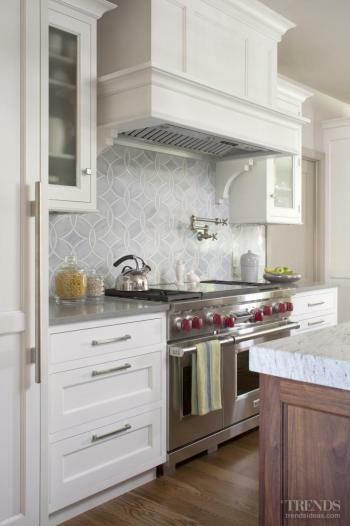 "The Ann Sacks tiles on the backsplash also helped determine the palette," says Otten. 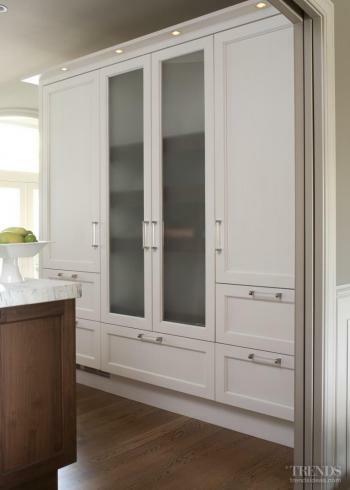 "They have a subtlety of color that influenced all the other materials, including the taupe quartz countertop on the perimeter of the kitchen. 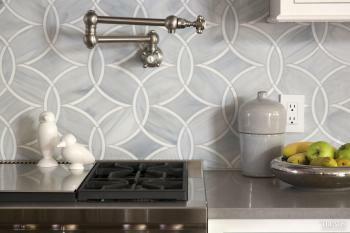 The soft collage of materials also includes glass pulls, a crystal chandelier, and decorative steel pot rack." 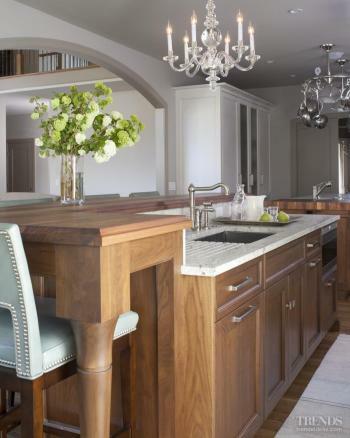 Perimeter cabinets are white, but the islands feature dark-stained walnut that helps to anchor the kitchen visually within the wider space.